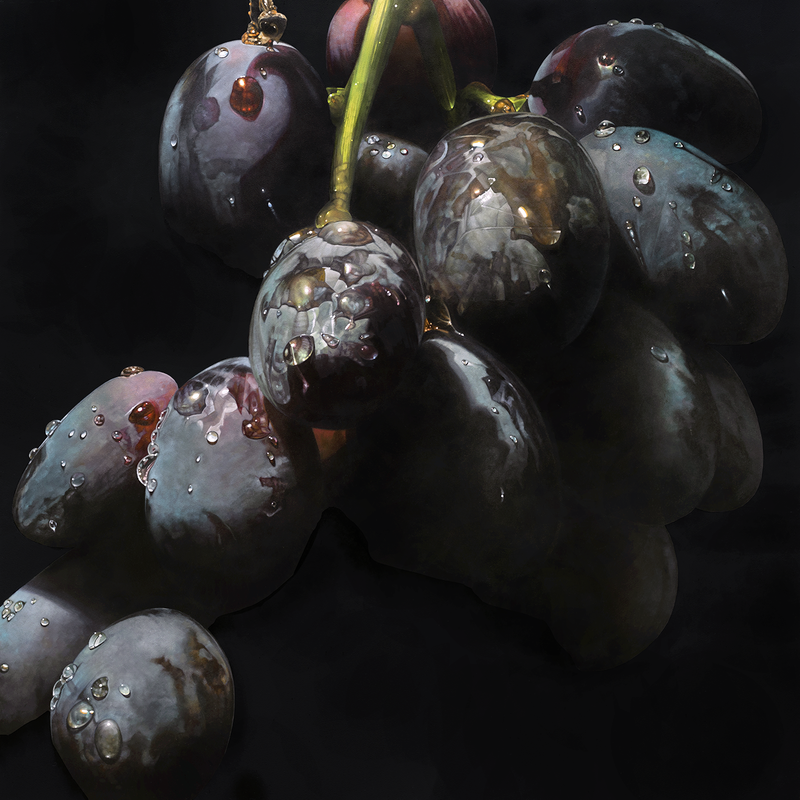 I've been doing quite a bit of hard edge mechanical themed work lately and was in the mood for something a little more organic, so I went back to my folder of black grapes. It took a while to get this one done, but it was a very enjoyable journey. I've got another life form based composition on the drawing board now. It's an image I've been thinking about for quite a while. I haven't committed to it just yet, simply because it scares me. If it were to turn out like I'd like it could be a cool painting, so I'm hoping I can summon up the courage to "face my fear" and dive in. So amazingly realistic! I admire all your work, and as a painter myself, wish there was enough time in life to get into that discipline..but it's a pleasure to see what beautiful results you get with yours!